Many parents know first-hand the struggles of trying to get kids to eat vegetables. 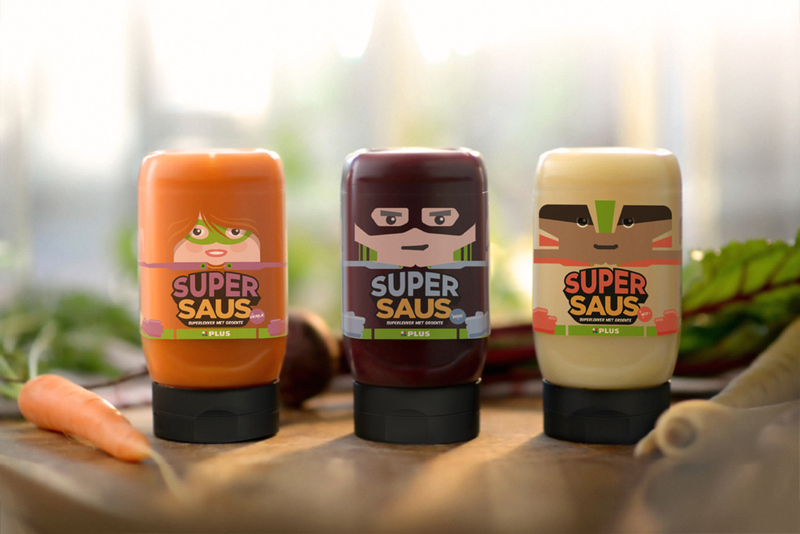 Dutch supermarket PLUS wants to help out its shoppers by offering SuperSauce, a superhero-packaged vegetable sauce that will surely get any kid’s attention. PLUS sought the help of J. Walter Thompson Amsterdam to create a product that will encourage kids to eat vegetables with vegetables— without them knowing of course. Each bottle comes with a superhero design to make kids more willing to try them out. However, the real ingredients beetroot, parsnip, and carrots are kept top secret… but perhaps someday the kids will realize how much they like vegetables.